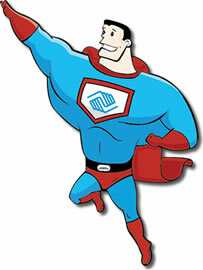 Be a superhero for super kids! Looking for something fun to do Saturday night that supports a fantastic cause? Come hang out with Sean and I at the annual Boys & Girls Club dinner and auction! There’s food by Rob Stumpo (so you know it’s good), a cash bar that I’ll be helping run, and a TON of fantastic things up for both a silent and live auction. Including an advertising auction item that includes $400 worth of ads on MarionOnline.com that we’ve donated as well as advertising with other media outlets. It’s a fun night out for a great cause! Tickets are $30 each or 2 for $50. For more information or to buy tickets, feel free to check out the B&GC website. Hope we see you there!